Not too shabby with 7 books! I ended up DNFing like 3 or 4 books this month. It was not a happy experience doing that back to back to back! I am shameful! 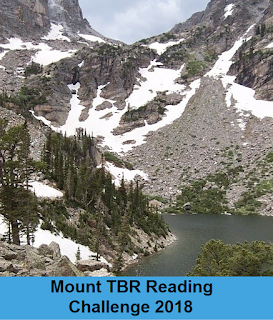 Hoping to get some TBR books read this coming month! 11 discussions! Not too shabby at all! I've surpassed the top goal of the challenge and now am just trying to think of fun things to talk about each week! It's getting hard too! Lol. Not too bad! 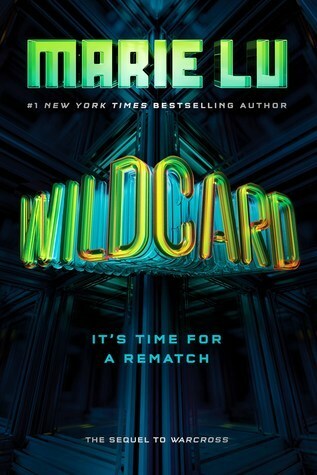 I'm in the middle of reading yet another series ender, so that's one step ahead for next month! MY ANSWER: Nooooo! I hate public speaking and while a YouTube video might not quite be the same, my mind will treat it as the same! I hated giving speeches and presentations in class! It was the worst thing ever! And no matter how hard I tried, I always talked too fast! The way I saw it was, the faster I talked, the faster the presentation would be over! LOL! So yeah, I will likely never go down that path. It's as I was writing my last discussion post, a commercial came on for a new CHILDREN'S game. As I watched in horror and disgust, I kept thinking this HAS to be a joke right? This is sooooo gross! What is going on with kids' games these days? Tell me that's not the grossest thing ever?! And I mean seriously what are you teaching kids to do in reality later. I mean that's so unsanitary, it's not even funny! It reminds me of that other bizarre game Doggie Doo. Okay, maybe this one is telling you to be the considerate dog walker and pick up after your dog goes to the bathroom--because seriously, some people in our neighborhood don't do this! EWW! But it's still rather gross! I mean what is up with this obsession and poop? As I think back to the games I played, they were all classic ones like Sorry, Clue, Candyland, Chutes and Ladders, Pretty Pretty Princess and Barbie: Queen of the Prom! LOL! They were never anything as gross as this. Well...I think there was one game, Gooey Louie...where you had to pick the guy's nose! Yeah, I never asked for that one because gross!! So what's your opinion on all these "gross" games? Do you think they're getting a little too extreme and perhaps teaching kids really bad habits? Continuing with the chapter on Customs in The Little Book of Answers by Doug Lennox we will continue to learn about the ordinary customs we likely never gave a second thought to! Roman soldiers used to wear a strip of cloth around their necks to keep them warm in winter and to absorb sweat during the summer. 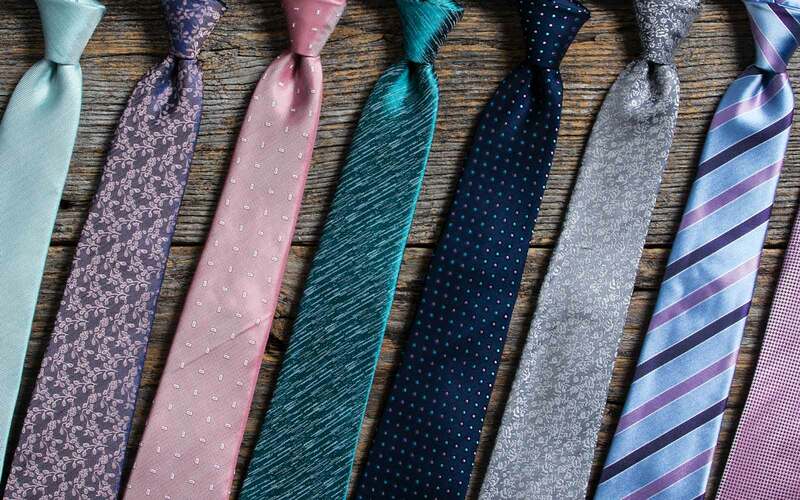 Soon other armies followed the same trend and it was during the French Revolution that Royalists and Rebels used colored ties to show their allegiance. They had borrowed this design from the Croatian Army and called it a "cravat" and that's basically how men came to wear neckties! Ever notice that on men's and women's shirts the buttons are on opposite sides? It basically came down to that men commonly dressed themselves and were more likely to be right-handed. Though the wealthier women tended to have servants who dressed them, so having buttons on the opposite side made it easier for them to dress the woman. That's odd and yet rather intriguing! Though it makes you wonder how the poor woman struggled or the rare left-handed man for that matter! It's common for boy babies to wear blue and for girl babies to wear pink. It's said in the year 1400 boy babies were made to wear blue because blue was the color of the sky and therefore it's "heavenly" and that it would ward off evil. Boy babies were considered a greater blessing than girls and it was assumed that demons had no interest in girls. Girl babies were later made to wear red which was later turned to pink. Never knew that it had such convoluted reasoning for why baby boys wore blue and baby girls wore pink. These days it's just so strangers can tell what the baby is! The handshake has a rather colorful history! Its first appearance was as an Egyptian hieroglyph as an extended hand which meant "to give." Then later, Babylonian kings confirmed their authority by grasping the hand of the statue of their chief god, Marduk. Finally, we saw it with the Roman soldiers who carried daggers on their right wrist and would grasp one another's weapon wrist in a nonthreatening sign of goodwill. My discussion steam has been running low lately! I thought I had an idea for a topic the other day but I totally forgot to write it down and naturally I forgot what it was! 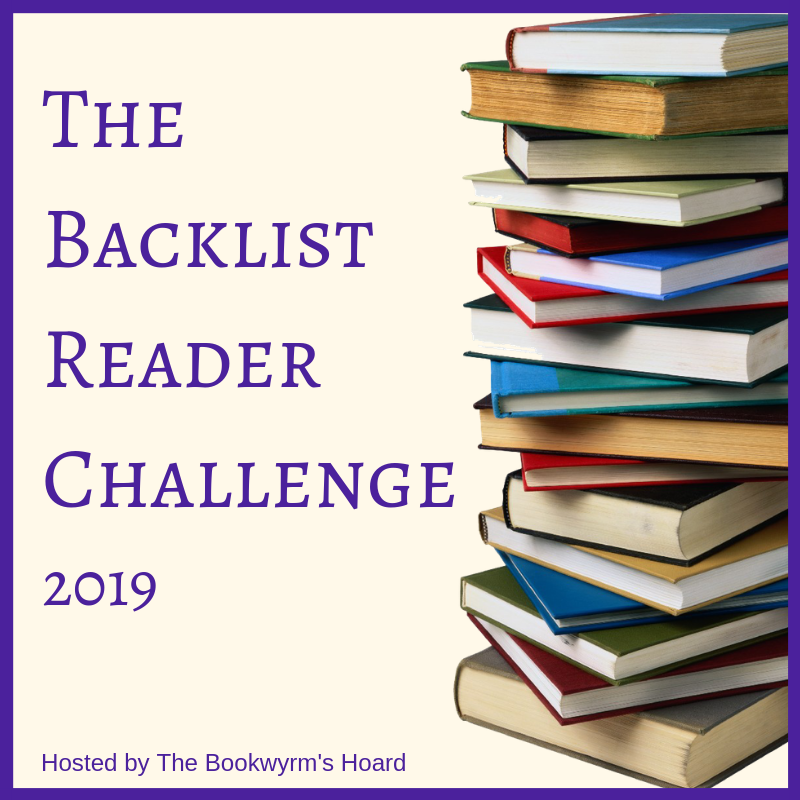 After scanning the list of topic ideas I thought of one that I don't think I really talked about that I thought, why not talk about it today?! We have a few varieties of romance, there's that dreaded insta-love which I really can't stand. Though I won't not read a book I want to read even if I know it will be insta-lovey ahead of time. Then there's the slow-build up, which I enjoy! There's the hate-love relationships which are enjoyable as well! Those can almost be a branch off of the slow-build up since the characters start out hating each other. Then there's the friends to lovers trope which can be hit or miss for me. Out of all those, I think my favorite is the slow-build up or slow-burn if you want to call it that way. I guess because I like watching the characters slowly fall in love. It feels more realistic at times too because how often do you find yourself head over heels in love with that person that just walked into the room for the first time? I mean he could be a serial murderer for all you know, yet you fell in love with him instantly? Really? What's funny is that sometimes this happens in paranormals and the human character falls instantly in love with the paranormal person who may or not be a "killing" type. Though I will say that none of the paranormal peeps were ever serial killers. But anyway, I enjoy a nice slow building romance myself! The hate to love trope is also enjoyable, because as I said, I feel like that branches off the slow-buildup. If you like romance in your books, what's your favorite kind of romance? I am dying to read this one! I read Warcross as an ARC last year but sadly seems I'll be waiting awhile still to read this one! Eager to see what will happen after that explosive ending last year! I still need to read The Last Namsara but I am having high hopes that I will love it and will want to read this one! 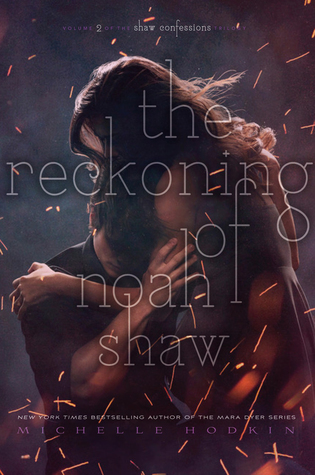 Since my last WoW didn't turn out the way I hoped for one of them, realllly hoping this will be a book I want to read! I find myself in a lull where I can think of any good discussion topics! I keep looking at different prompts but I don't get any inspiration. So I kept thinking and thinking and looking at different books trying to find a topic and then I thought of one! I've talked many time about my first vampire book and how it spawned my love for all things paranormal, creepy, and weird! Then I started thinking about all the other "spooky" creatures of novels. Then I moved onto ghosts because I'm close to starting a ghostly read! While I feel like I might have read a middle grade book that involved ghosts, I really can't remember them too well, because the books are no longer with me! 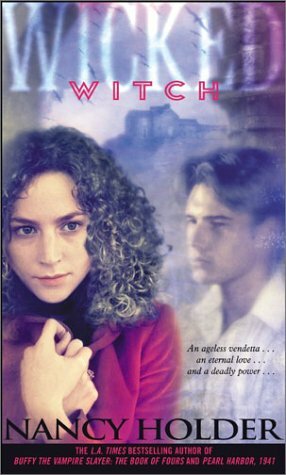 But the first ghostly book that I read--or what I am pretty sure was my first one--was Jenny Carroll aka Meg Cabot's The Mediator series starting with Shadowland! And it was awesome! It pretty much opened my eyes to ghostly books and I thought it was incredible! Yes, there's a sort of ghost romance going on which you can sense will be problematic for the future, but I still never expected the turn of events that came about! 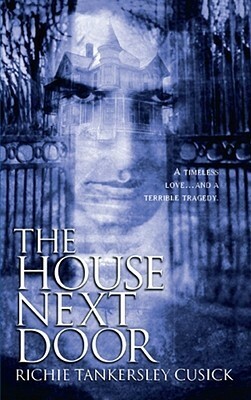 Another of my first ghost books I remember reading is one I want to re-read again at some point because I bought it in some 3 for whatever sale at B&N and that is The House Next Door by Richie Tankersley Cusick! I remember liking this one, but then in a fit of cleaning or whatever you want to call it, I added it to my donate pile because there was a book drive going on somewhere! Lol. So I picked it up again during the sale! I wish I could remember more about it, but I really can't! Though I was upset to see for whatever reason they reprinted the book as a trade paperback, but yet, left the formatting inside as its original mass market size. I mean, what was the point of that besides wanting to charge more for it?! And those are basically the only ones I can readily think of that were among my first ghost books! Granted, The Mediator was a series so there have been a nice amount of those over the years! I am sure I read more too, but ghosts were harder topics unless it was just a haunting situation. I know as time went on, I read more ghost books, but in this I was trying to think of my first ones! Do you remember your first ghost read, if you're a paranormal reader of course! 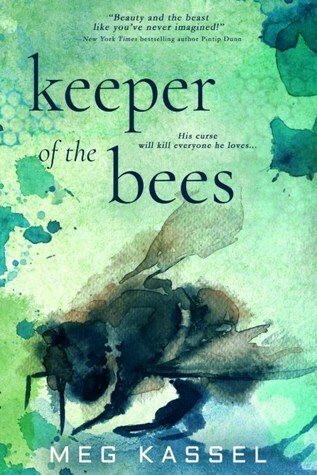 Meg Kassel returns to her previously visited world but with new characters in Keeper of the Bees. This time, we actually follow the story of one of the beekeepers; the beings with “magic” bees in their bodies that create untold chaos in society. Our beekeeper, Dresden is an eighteen year old boy who’s been a beekeeper for so long he barely remembers his human life and then he meets Essie who sparks something in him that he didn’t realize he ever needed or wanted. Essie isn’t like other girls, in fact she’s cursed. Her family line has BEEN cursed with insanity it seems. Essie suffers from delusions and hallucinations. She rarely knows what’s real and not real and then she meets Dresden who calms the chaos that’s always brewing inside her. The two are an unlikely pair but that’s usually the way of things! 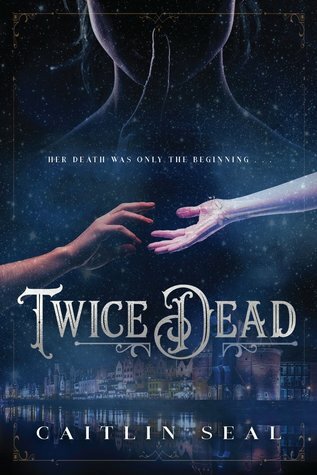 Dresden has come to a town that’s marked for death. He feels drawn to it and knows that something bad will happen soon. So he does what he has no control over and infects the already darkened people with a little extra boost of crazy. For a spin, he’s friends with a harbinger who follows him on his travels since harbingers live off of the death and chaos that usually follows the beekeepers. They have a working relationship of sorts, they aren’t overly friendly, but they aren’t enemies either. Dresden has basically always kept everyone at a distance until Essie. But the developing relationship between Dresden and Essie is only part of the story here. 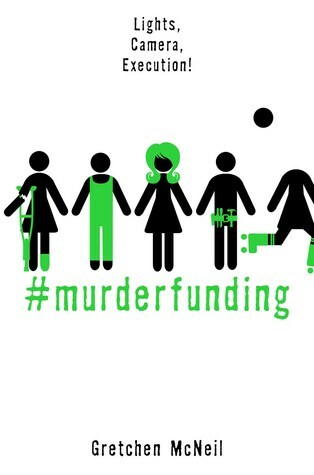 There’s also a murderer on the loose in town and he seems to have targeted Essie’s family and people connected to her family. What’s worse is that Essie was the one to find the first body and while she’s not necessarily a suspect, she’s still someone the police don’t want her leaving town since her credibility isn’t so great on the account of her illness. 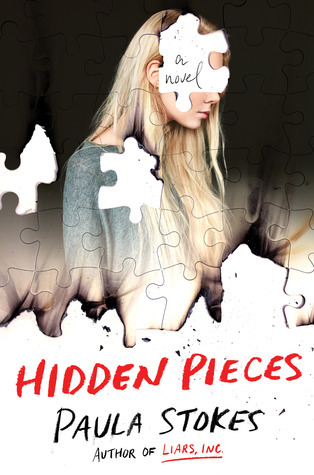 This one was definitely an interesting read since our heroine can be seen as an unreliable narrator. Since she struggles to decipher fiction from reality at times, it does make you wonder what she’s seeing at certain points and whether the threats are real or not. And surprisingly, some turned out to be very real and far closer to the truth than I could have imagined. There were some darker themes attached to this story, I don’t want to say what they are since they can lead to spoilers, but I was pretty shocked by their intensity. While nothing extreme ever really happens to any of the characters, there’s definitely some close calls and the threat of said dark themes and acts are still there. It made of a chilling read! I was also a bit tickled that this took place in Missouri, Concordia, Missouri to be exact which is an hour or so away from St. Louis! While I can’t say I’ve ever been there, it was still pretty cool to be close to my city! And it was in the general area of my neck of the woods, so when things like weather are mentioned, I totally knew what was going on! Lol! Yeah, I just mentioned the weather! I thought the romance developing between Dresden and Essie was very sweet. Yet again I felt like it was that cross between being sort of instant and yet slow building. It’s more like the feelings for love were rather instant, yet the true feelings took time to develop over the course of the book. Both of these characters are somewhat broken and fragile. I rather like that their romance took time to develop. The mysteries that were involved in this one were pretty spectacular! Though I felt like I sort of knew one was about to be revealed and all, the second one was pretty shocking as I really had no clue what was going on in that area! Confusing, yes? Lol. Needless to say I enjoyed the shocking twists that came about in the story! 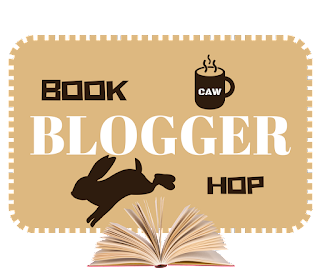 Keeper of the Bees was an intriguing and pretty entertaining read! While I didn’t love it entirely, I did enjoy it quite a bit! 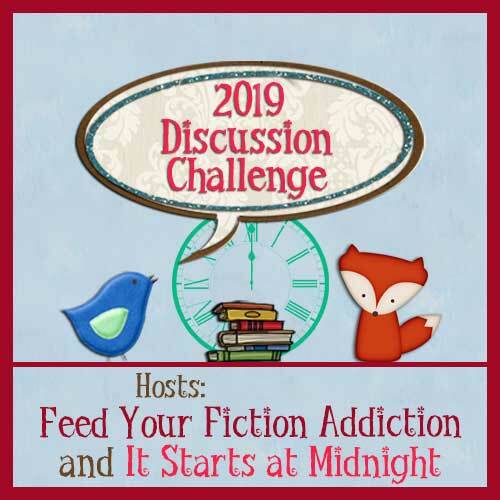 I think I was bogged down by the pacing again as at times it felt like I was moving in circles instead of moving forward when it came to certain things, but that was sort of a come and go feeling. It was definitely a worthwhile read and I’ll be curious to see if Meg sticks with this world for a while more! 10 points to whoever can guess this movie! It's a beloved favorite of mine too! And yeah, wowzers!! 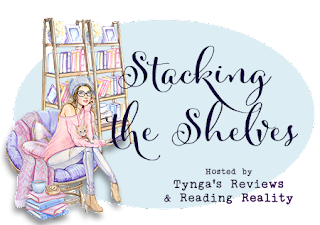 This week's topic is: Back to School/Learning Freebie: Books I Read During the School Days! 10. 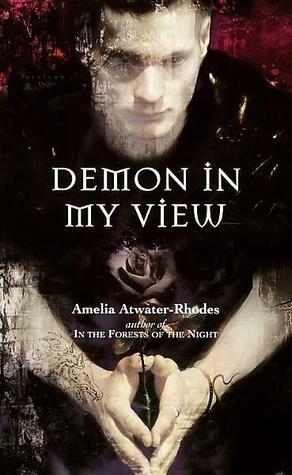 DEMON IN MY VIEW by Amelia Atwater-Rhodes--will never tire of this one! Lol! 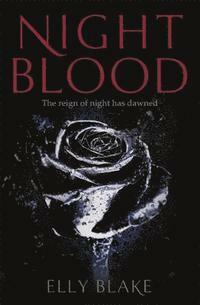 Naturally this was one I read in school as it was the book that got me hooked on vampires! 9. 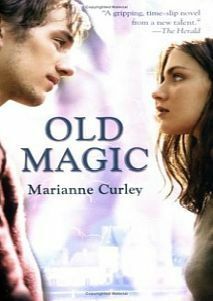 OLD MAGIC by Marianne Curley--while looking for more vampire reads, I stumbled upon this one! Magic, time traveling, witches, sorcerers, evil curses...oh yeah...this one had it all! Except vampires, but it still worked for me! 8. 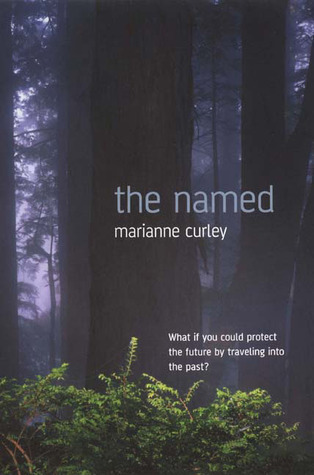 THE NAMED by Marianne Curley--I am planning to re-read this series since there was a new installment this year! It had some of the same above but mostly magic and time traveling and trying to protect the timelines! 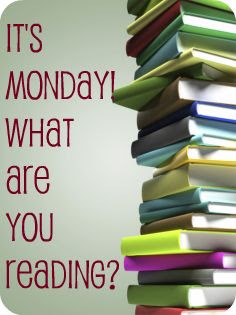 I'll have a better idea of it all when I get back to re-reading it! 7. WICKED: WITCH by Nancy Holder & Debbie Viguie--this was a series I immediately took to! Rivaling witch and warlock families yet there's plenty of forbidden romances going on! It was amazing! 6. 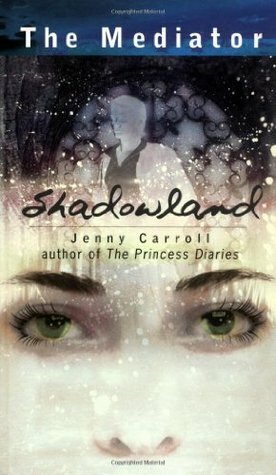 THE MEDIATOR: SHADOWLAND by Jenny Carroll--probably my first ghost story that I can recall! And it was awesome! 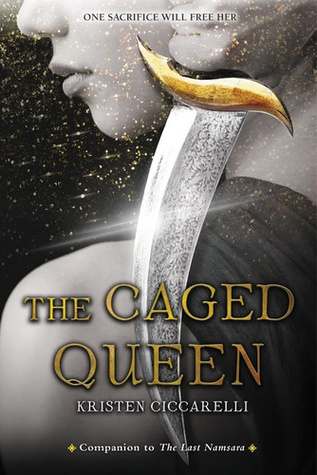 You might already know this, as I likely talked about it at some point, but this was one of Meg Cabot's first books after The Princess Diaries. This one involved ghosts and solving mysteries and one Mediator Susannah Simon who reminds me of Veronica Mars to a T! 5. 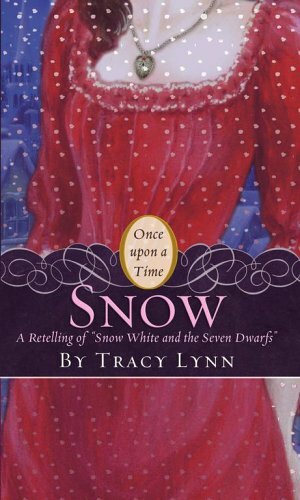 SNOW by Tracy Lynn--one of my first fairy tale retellings (it was a part of a series and might have been book 3?) and it was so incredible! It was pretty close to the original story of Snow White but had some added differences to it that I thought just made it incredible! I re-read this one at least 3 times I think! 4. 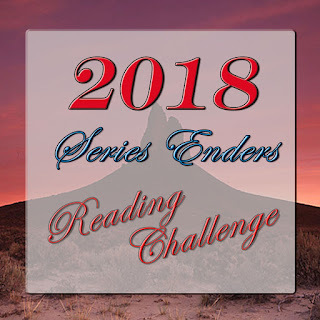 THE FORBIDDEN GAME by L.J. Smith--this was my first book by L.J. and I LOVED it! I thought the idea of being sucked into a game was creepy and cool! Though it was definitely terrifying for the characters! 3. 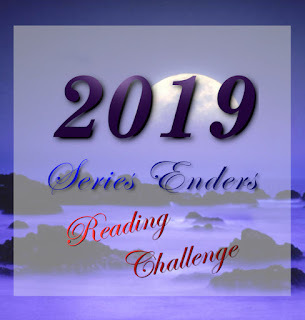 THE VAMPIRE DIARIES: THE AWAKENING by L.J. Smith--I discovered L.J. had more books out after I read The Forbidden Game and immediately picked up The Vampire Diaries series because VAMPIRES! 1. 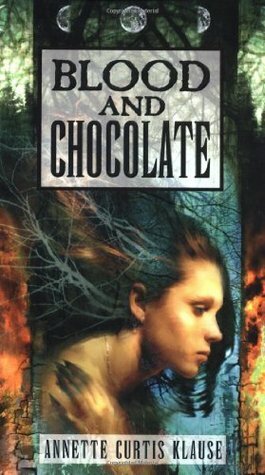 BLOOD AND CHOCOLATE by Annette Curtis Klause--another early days find! And it involved werewolves! I LOVED this one to pieces!! It still remains to be unlike any werewolf book I've read in the YA genre and perhaps even adult too! 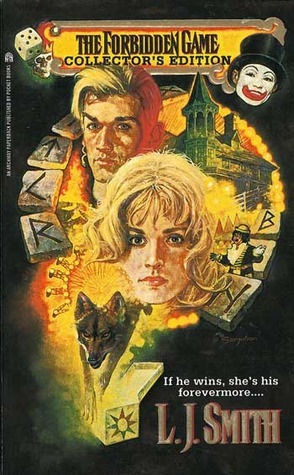 I LOVED the storyline and even re-read this puppy a few times way back when, when there wasn't enough new books to read! I don't recommend seeing the movie version though, they totally butchered the book and I mean BUTCHERED!!! Ariel soon learns that Ursula has been making the most of her role as princess: plotting, scheming, and waging outright war with neighboring kingdoms. And after the disguised sea witch catches wind of Ariel's resurfacing, she threatens to obliterate both land sea. Will Ariel be able to overthrow the murderous villain bent on destroying her home--along with the world she once longed to be a part of? Follow this tale of power, love, and a mermaid's quest to reclaim her voice. I received this ARC from a blogger friend in a fair trade. My review is completely honest and voluntary; I was in no way compensated for this review. Liz Braswell has done it again! She’s taken a favorite Disney movie of mine and gave it a nice good twist to see what could’ve happened had things gone wrong in The Little Mermaid. In Part of Your World, we learn how things would’ve been had Ursula won and Ariel lost everything. What’s so fun with these stories is how much could’ve changed with one little moment, though it wasn’t entirely clear why things didn’t play out like in the movie, I figure it was best not to think too hard on that because the point of this series is to give new endings! The book opens up five years after Ursula had won. Ariel was a voiceless mermaid trying to rule Atlantica while Ursula continued to be Vanessa with Ariel’s voice and Eric was kept in a hypnotized daze. This was how five years were spent. Then one day Scuttle and his great-granddaughter were watching a play that Eric wrote, one that had a very familiar story with a somewhat different ending. And it basically leads to Ariel returning to land once again in order to find her father who Scuttle discovered was still alive…in his polyp form. 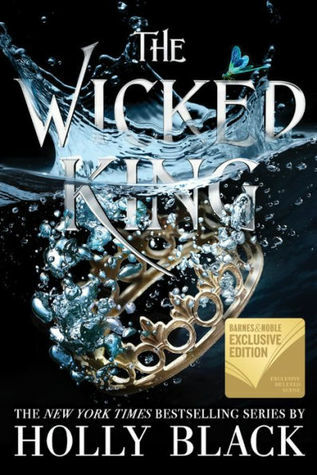 It becomes Ariel’s mission to find and rescue her father and return him to his throne under the sea, but she’s going to need some help in order to accomplish this and naturally, that help comes in many familiar faces. It was so much fun to read this one! I loved seeing what things could’ve been like had Ursula initially won. Things were definitely different in this scenario and it becomes clear who the real ruler of the castle is and sadly, it wasn’t Eric. Vanessa, as Ursula, had her own plans for the kingdom and surrounding kingdoms. Having not been allowed to rule under the sea, she decides she’ll take the next best thing and rule on land. For the first part of the book, Ariel has no voice and communicates with her friends with a form of sign language. It made me wonder how the story would progress without her talking, much like in the movie. But that gets cleared up rather quickly when Ursula’s spell breaks, but that was only a small step in her battle to come. It would be too hard to communicate with Eric and everyone else on land if she had no voice, so I was glad that Liz gave her her voice back early on. 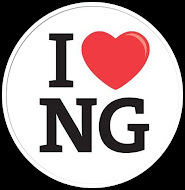 The story was told in many points of view from all the characters we already knew and love! For the most part though, the story was told from Ariel and Eric’s point of view and Ursula coming in at third. It was interesting getting all the different perspectives and made the ease of story-telling that much clearer. Another part that the Disney fan in me loved was how the title song gets mentioned! They don’t outright show you the lyrics but when Eric mentioned to Ariel, the song she sang when she rescued him and she sings is…totally was singing along! Another little bit that honestly had me grinning when it was mentioned, Ariel asked Eric how he couldn’t recognize her as the one who saved him and then when Ursula as Vanessa started singing, just fell for entirely! I won’t mention the outcome from that, but just that it gets said, had me grinning from ear to ear, because honestly Eric?! I felt like this was a well-paced novel too! Don’t let the near 500 pages alarm you! In the first day, which was slightly busy for me, I read over 100 pages and by the next I read over 200 leaving just another 100 for the last day. It’s a fairly quick read in a sense, one that had me turning the pages as fast as I could read them! It was so much fun being back in this world and seeing more of the world above Ariel, though I kind of want to see more under the sea now too! Lol! The ending was positively wonderful! It’s not quite the ending you would expect and yet, it totally works for the story! I feel like you can see what would happen down the line at some point, its open-endedness was something I didn’t expect to enjoy as much as I did. 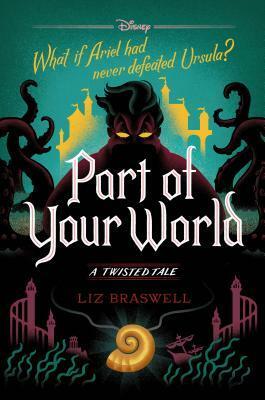 Part of Your World was a most magical read indeed! This is a book that Disney lovers are bound to enjoy! This was a pretty decent week, book wise! Real life wise it was kind of stressful and that stress will likely not be going anywhere anytime soon! 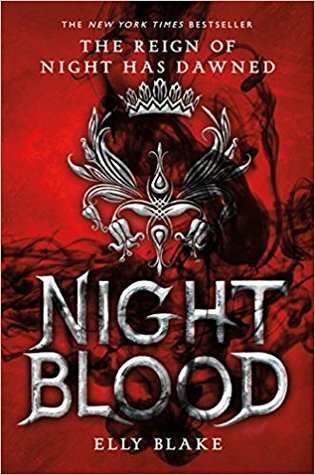 Nightblood by Elly Blake--UK edition! I love this series' covers so much! The US ones are gorgeous and the UK ones are stunning as well, so basically I have to have them ALL! 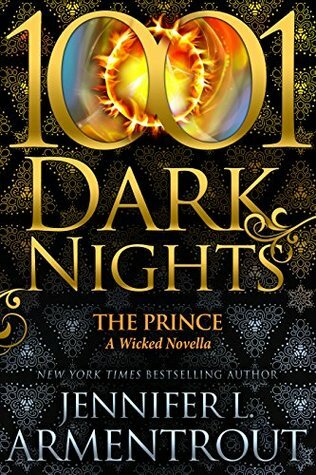 The Prince by Jennifer L. Armentrout--I decided at the end of last week that I needed a keeper physical copy of this one because I LOVED it so much!! 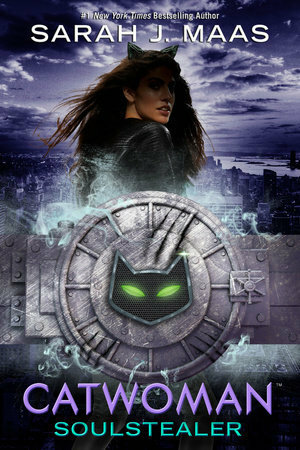 Catwoman: Soulstealer by Sarah J. Maas--I ordered this one in the special LitJoy Crate box--which since it was on their website I feel is no spoiler, but I won't share the other contents of said box just yet! I am so excited that it's finally here! Yet now I've zero time to work it into my queue--the story of my life! LOL! Then I also bought another book sleeve!! Don't judge me, LOL! I couldn't help it! It was CARAVAL INSPIRED people! You know how much I love that series!!! And I bought it in the "mini" size for my mass market paperbacks, and I only have 1 other in that particular size...and I got it on sale! So it was a good deal!! Another beautifully made book sleeve from Fandom Sleeves! I swear I need a Frequent Buyer Punch card from this girl! Her book sleeves are just awesome! And that's my haul this week! What did you all get?